Mihaela Moscaliuc was born and raised in Romania. She is the author of the poetry collections Immigrant Model (University of Pittsburgh Press, 2015) and Father Dirt (Alice James Books, 2010); translator of Carmelia Leonte’s The Hiss of the Viper (Carnegie Mellon University Press, 2015) and Liliana Ursu’s Clay and Star (Etruscan Press, forthcoming); and editor of Insane Devotion: On the Writing of Gerald Stern (Trinity University Press, 2016). She has also published articles and essays on Romani (Gypsy) culture, exophony and code-switching, and on the works of Kimiko Hahn and Agha Shahid Ali. 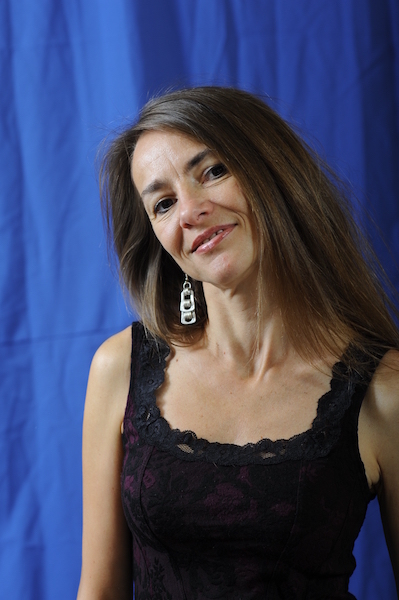 The recipient of two Glenna Luschei Awards from Prairie Schooner, a residency fellowship from Le Chateau de Lavigny (Switzerland), an Individual Artist Fellowship from the New Jersey State Council on the Arts, and a Fulbright fellowship to Romania, Moscaliuc is associate professor of English at Monmouth University and faculty in the Drew University MFA Program in Poetry and Poetry in Translation.